"Howie, I just wanted to thank you for being so responsive. If your roofing work is as good as your customer service, we'll be keeping your number around for a long time"
Siding is the 'clothing' to your home. Just as in clothing, there are many choices of styles and colors to choose from. Zimmerman Exteriors' are experienced siding contractors with a knowledgeable crew that can help you make the best decisions for your home, always keeping an important factor in mind...water resistance. 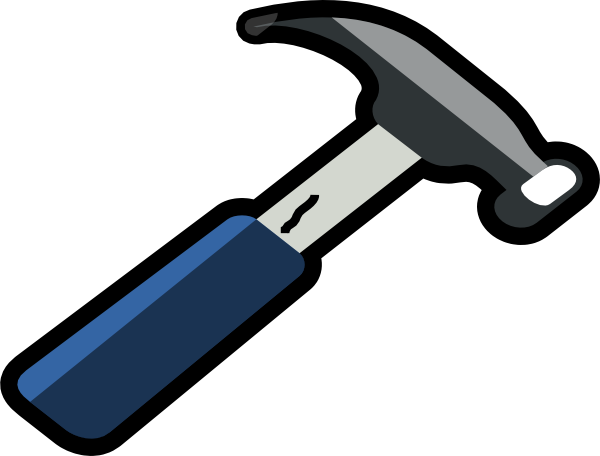 Poor siding installation can let water into your home, leading to painting and dry walling repairs as well as problems you can’t see, like wood rot and mold. Zimmerman Exteriors experience ensures proper siding installation, which includes a quality house wrap and kick-out flashings at roof eaves, windows, and other areas of the home. If you are looking for a skilled siding company in Lancaster, Reading or Harrisburg give Zimmerman Exteriors a call now! When choosing exterior siding for your home, there are a variety of options to consider. 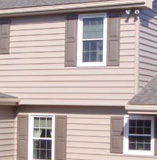 Review some of our options below to learn more about each of our siding options for your home. Vinyl is an inexpensive option that is low maintenance and won't chip. If a piece ever needs to be replaced, the segment simply pops off and the new segment is easily inserted. In terms of initial cost and maintenance, vinyl siding is a great choice. Vinyl siding comes in a variety of textures and colors in order to match your home and roofing style. Below are links to help you decide which style is best for your home. If you do not see what you want listed, please ask, we can probably get it for you. We can also use a house wrap, which adds insulation to your new siding for a fraction of the price that insulated siding costs. Stone veneer on your entire house or as an accent to other exterior materials can make a bold and distinguished impression on your home. Whether you choose dry stack or the standard mortar look we can help you with whatever direction you would like to go. 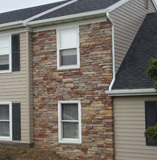 Stone veneer is a great alternative to natural stone which has been growing in popularity. We can install real stone sills and thresholds which really add to the character of any home. 5" or 6" K seamless gutters can make all the difference when it comes to the finishing touch on your home remodel. We use heavy gauge, hidden hangers on all applications. We’ll also give you an economical aluminum gutter guard option that will have you enjoying a round of golf instead of cleaning dirty gutters in the fall. If you are looking for the classic look of copper or half-round we can give you that option as well. If you want the best siding contractors in Lancaster, Reading, PA and surrounding areas to work on your home, call Zimmerman Exteriors today!